One of the best vegan food providers in the UK is set to cease trading tomorrow (Saturday August 22, 2015). I am terribly saddened to report the end of The Mighty Food Fight. 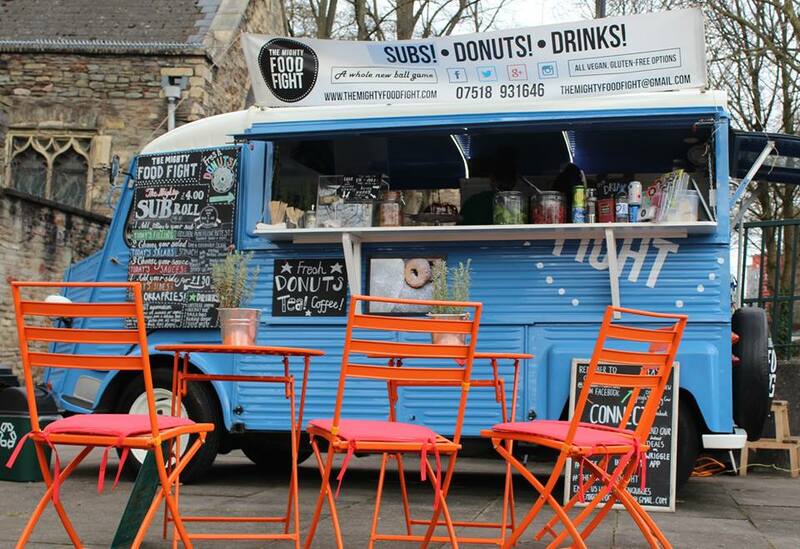 Hannah and Isabel have decided to pack away their magic donut recipes and shutter up the food truck, as this much-adored Bristol business is wrapping up. It’s goodbye for now from us and our beloved food truck René! We’ve had an amazing adventure serving the lovely people of Bristol and beyond some tasty Mighty Sub Rolls and many glorious vegan donuts. We’re so grateful to all our loyal Food Fighters and everyone who has supported us, particularly when René was poorly. We’ll miss all of our customers but we hope that we’ve inspired people to seek out the best cruelty-free flavours. Fancy a chance to try a TMFF donut before we close? Come on down to Moor Beer Tap on Days Road, Bristol, between midday and 8pm this Saturday where we’ll be holding our Last Hurrah with vegan beer from Moor, along with two other street food traders from Bristol Eats. Terrible news for anyone in love with spectacular vegan food. You really should do whatever it takes to get along to this final trading day for The Mighty Food Fight. 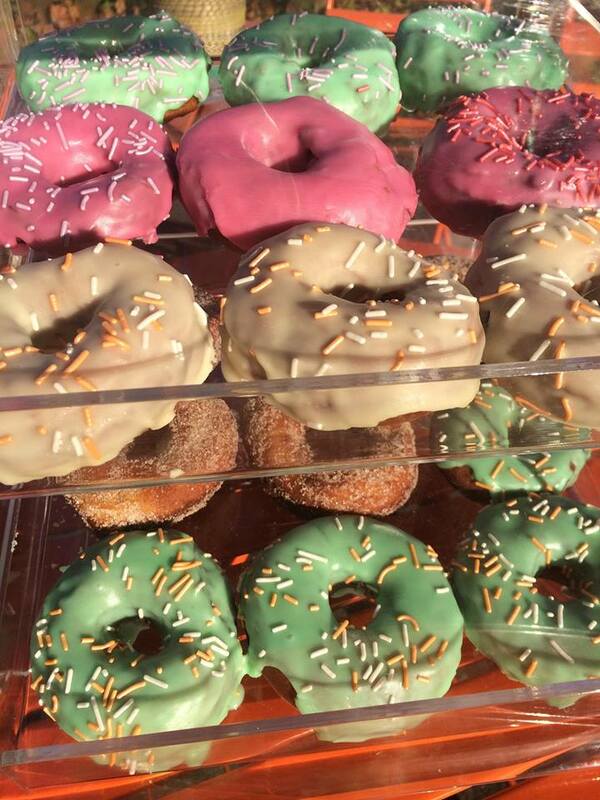 Hannah and Isabel will be serving up hundreds of vegan donuts including Boston Cream, Strawberry Daiquiri, Lemon, Lime + Toasted Coconut and many more. As this final event is run in conjunction with Moor Beer Company, you can also look forward to vegan mac ‘n’ cheese balls drowned in a fig, tomato and Moor stout ketchup. Don’t make excuses. Get to the event from midday for stunning vegan food. Get all the details on the Facebook event page. 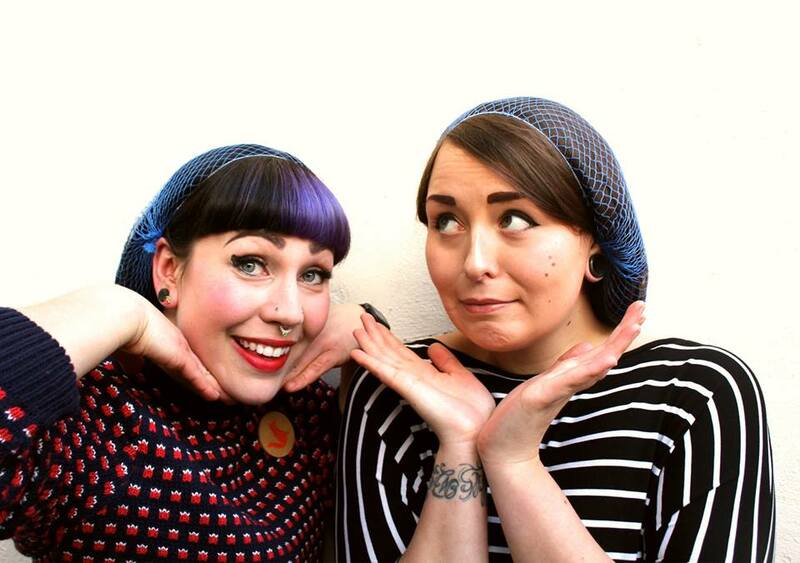 While you are feeding yourself silly, make sure you take the time to thank Hannah and Isabel for everything they have done to raise the profile of vegan food in Bristol. They have made a profound difference. A great shame. I would be interested to know the factors that have led to their ceasing to trade so others might learn from it. I was concerned that their choice of vehicle, though charming, was a money pit but don’t know how much pressure it put on them financially.